The HydraFacial is a safe and pain-free procedure that may be customized to your skin and combined with other skincare procedures on the same day. It is a three-part system of cleansing, exfoliating and infusing skin with serums. 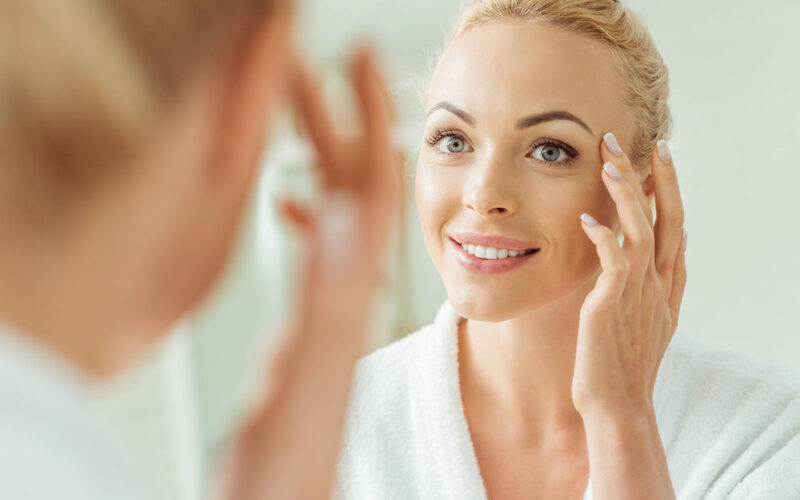 The specific term is “hydradermabrasion.” You’re probably familiar with dermabrasion, but the HydraFacial differs in that it has a three-step process. The first is cleansing skin with exfoliating and resurfacing. The second is removing debris from pores and then hydrating with moisturizers. The final step is to infuse customized antioxidants and peptides into the rejuvenated skin. The HydraFacial is so effective and gentle, it is often performed before weddings or other events, as it creates glowing skin without irritation or peeling. Want to take your facial to the next level? Add a dermaplane to compliment your HydraFacial. We also recommend Clear + Brilliant’s Permea and HydraFacial combo! If you’re not sure what would be best for you and your needs, we’d be happy to make a customized recommendation. Another forward-thinking skincare treatment providing long-lasting and beautiful benefits is the AquaGold fine touch. The AquaGold is the painless answer to Botox. AquaGold fine touch is a patented gold-plated hair-fine needle system designed to painlessly deliver custom solutions into the skin just under the dermis, not on it or underneath it. This creates a soft, natural-looking result, leaving the face looking smoother, tighter and rejuvenated. Applying anti-aging products directly under the skin allows them to be absorbed much more effectively and with a much longer duration of effectiveness because these products do not have to bypass the natural protective barrier of the skin. This stimulates collagen production and distributes active ingredients at a consistent depth over a large surface area. The consistent distribution results in a healthier and more vibrant appearance of the skin. Patients will see an immediate improvement on the treated area, whether it be the face, neck or décolletage. There is no anesthesia, little or no down time after a procedure and no restrictions beyond not washing your face for a few hours. Slight redness may be observed for a short time, but there will be no bruising or a “frozen muscle” look.